The Middle East is really like no other place in the world. Discover the giant red mountains and vast mausoleums of Petra. You really have to see it to believe it. 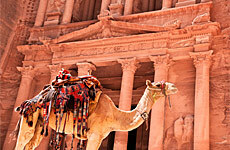 A world wonder, Petra really is Jordan's greatest tourist attraction and most valuable treasure. 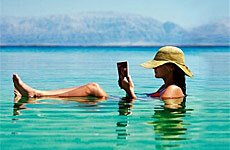 The Dead Sea, the lowest point on the face of the earth, is one of the world's most amazing places. 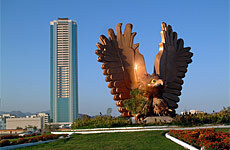 The area is known for religious and health & wellness tourism. 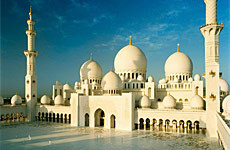 The United Arab Emirates is a very dynamic and modern country. Find yourself amidst towering skyscrapers and ultra modern shopping malls. Beautiful deserts and sand dunes, luxury shopping and spas, iconic landmarks and cultural attractions, and numerous water sports and land activities await you. 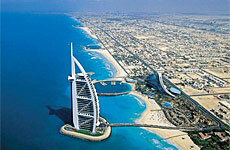 You'll also find beaches and beach clubs, exotic cuisine, and night markets. 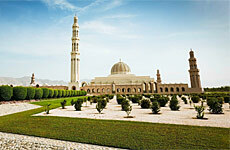 Oman has plenty of arts and culture. Filled with traditional villages and museums, castles and souqs, and known for its crafts and Frankincense, Oman is a great place to visit. 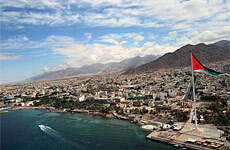 Camel racing, trekking, and rock climbing are all very popular activities.